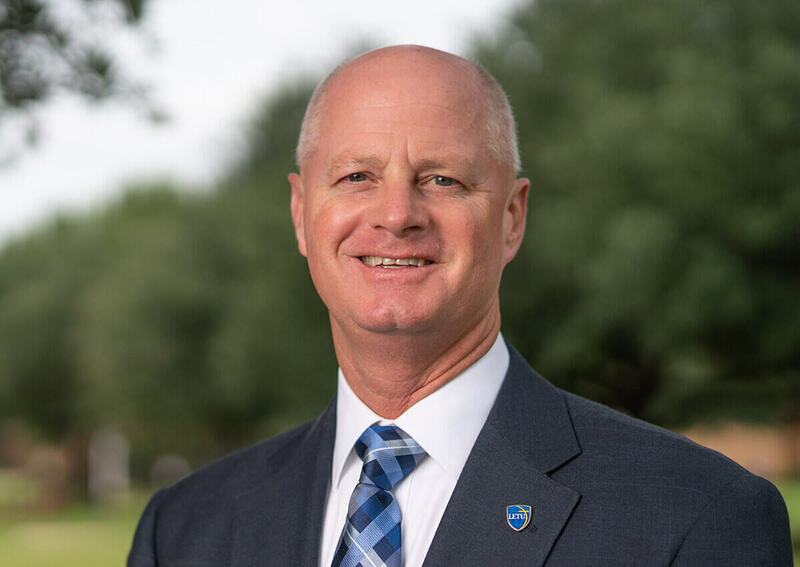 Terry Zeitlow serves as Vice President for University Development at LeTourneau University. He received his undergraduate degree in Biblical Studies from LeTourneau University in Longview, Texas, his Master’s Degree in Educational Administration from the University of Texas at Tyler (Texas) and his Ph.D. in Leadership from Andrews University in Berrien Springs, Michigan. Zeitlow came to LeTourneau University in the fall of 2017. In his role, he has oversight and fund development responsibilities for personnel within the annual, capital and deferred giving efforts for the university. Alumni and Family Relations also operate within the University Development area. His professional career has focused in leadership and fund development work in Christian higher education and non-profit settings. Prior to coming to LeTourneau University, Zeitlow served as Associate VP for Development at Bethel University in St. Paul, MN. Prior to that he served as Executive Pastor at Bethel Church, a multi-site church in Northwest Indiana where he focused on two new church works and helped established The City Life Center, a non-profit ministry in Gary, Indiana. Zeitlow also served seven years at Bethel College as Vice President of Institutional Advancement. Zeitlow has also served on two different occasions at his alma mater, LeTourneau University and early in his career spent seven years at Youth for Christ in his hometown of Fort Wayne, Indiana, and seven years at New Life Church and Academy in Woodbury, Minnesota. Besides his leadership and administrative functions, Zeitlow has also served as an adjunct professor at LeTourneau University, Bethel College and Dakota County Technical College. He has been a Rotarian, led small groups and discipleship efforts, served on various boards, and has been active in FCA and in Crown Ministries as a small group leader and budget coach. During his undergraduate days, Terry earned all-American honors in basketball and to this day holds most scoring records at LeTourneau University including career points, single season points, single season and career field goals and career free throw percentage. Terry has been married to Jill for 30 years and they have three daughters. Zeitlow’s dissertation work focused on identifying variables related to pastors preaching and teaching on financially related topics. His work is unique as it is the only known study focused solely on pastors in a small, evangelical denomination. Zeitlow has been married to his wife Jill, for 31 years and they have three daughters, Maggie a 2016 graduate of LeTourneau (married to Jason Bass), Mari, a senior at LeTourneau and, Maycee, a junior at LeTourneau.